Hebrews 7:1-3 – Who Was Melchizedek? In chapter 5:1-10 the writer of Hebrews was discussing the high priesthood of Christ. Jesus is the superior High Priest because he was a human, like us, yet he was also God. Because of this unique combination, Jesus is able to be the perfect high priest forever, a priest that is not like the line of earthly priests descended from Aaron and the tribe of Levi, but a priest in the order of Melchizedek, the mysterious priest from Genesis 14. But because this was a difficult concept, the writer digresses into a warning to his readers not to be lazy in their spiritual development. They ought to be interested in the difficult “meat” of the Word of God. In chapter 7, the writer of Hebrews shows that Jesus is the Perfect High Priest, in the order of Melchizedek, who serves as a “type” of Jesus Christ. Because Jesus is the Perfect High Priest, he is able to meet our needs in a way that no human priest ever could. Melchizedek is identified by the writer of Hebrews as both a priest and a king. While he is mentioned in Genesis 14 and Psalm 110, there is a great deal of interest in him in the Second Temple period. Genesis 14 describes Abram’s rescue of Lot from the hands of invaders from the east. Lot was living in Sodom when it was captured by five kings from the east. Abram rallies a small army and pursues the invaders, and routs their army. While returning from the battle, Abram is met by Melchizedek, who greets him and blesses him. Genesis 14:18-20 describes Abram worshiping the most High God with Melchizedek and offering a tithe to God through this mysterious priest. There were a number of interpretations of Melchizedek current in the first century, perhaps explaining why the author of Hebrews used this rather obscure character as an analogy for Jesus. 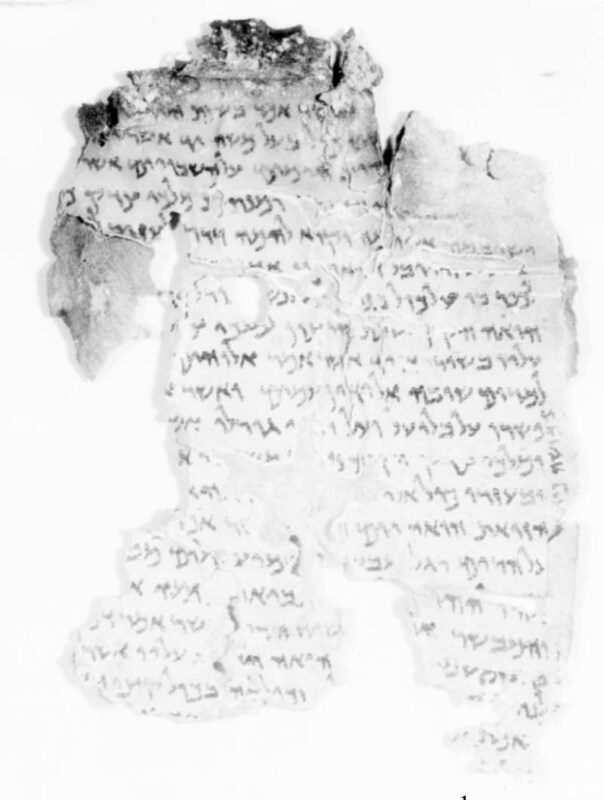 The Dead Sea scrolls make Melchizedek into a paradigm for the righteous remnant, awaiting the return of the Messiah. He functions very much like Michael in Daniel 12. He is a defender of Israel who will return to punish those who opposed the righteous remnant. The Targum Jonathan argued that Melchizedek was Shem, the son of Noah. In the genealogies of Genesis, Shem would outlived Abraham by 35 years. The Jews sought to find a way to explain the great Abraham giving honor to Melchizedek, they did this by making him one of Abraham’s great ancestors. The reason for all this speculation is that there is not much said in Gen 14 about who Melchizedek. That he worships the God Most High and was the king of Salem (presumably Jerusalem) is remarkable indeed. Perhaps the motivation is that Melchizedek was the king of Jerusalem in the age prior to the Davidic Kingdom. Since David captured Jerusalem as his capitol, he became a king in the line of Melchizedek. As the son of David, Jesus is both a king (in the line of David) and a priest (in the line of Melchizedek). Although (as I state quite frequently), I am no expert when it comes to Biblical and Jewish history, I gravitate towards the idea that Melchizedek was Shem himself. It is hard for me to grasp the idea that Melchizedek could be some angel or an idea or concept. The whole reason that Jesus is referred as Melchizedek is so that the title of “High Priest” can be bestowed upon Jesus, and how could this be so with Melchizedek being an angel? I am drawn towards the conclusion that Melchizedek is a person and was a real priest of the Most High God (as Genesis 14:18 says). He was named the king of Salem (Jerusalem) and a priest at the same time. Having an angel as a king doesn’t flow, neither does the idea of having an angelic priest. As Jobes follows this through, David eventually conquers Salem and claims it as the capital for the Israelites where he builds the temple. This title of priesthood of the Most High God will eventually fall on Jesus the Son of God. With the Levite priests not yet established, Jobes states, “…one could reason that all of the tithes of ancient Israel collected under the old covenant established by Moses were symbolically offered to God by their ancestor Abraham through the priest Melchizedek” (Jobes, 104). If anything, who else would be a priest of the Most High God, but someone from the line of Noah? There are certainly other gentiles that were mentioned as God-fearing, but they would not have held such a significant role such as being a priest! Jesus the high priest. Jesus the Son of Man. Jesus the Son of God. Jesus the King of Kings. Jesus the….you get the picture. Jesus had to come and be all these things and be perfect so that in his death and resurection all would be saved. Jesus was the representitive of the world to His Father. We as man were so sinful that we needed some to represent as a sacrifice to God. Jesus was this man. The first few chapters in Hebrews does its best to prove this point. Hebrews points out people like Melchizedek who show that Jesus came from the line of high priest. Hebrews is a great book that points to Jesus being who he said he was and who the people who were with him said he was. I don’t see that knowing who Melchizedek was specifically would lend any more to parallel that the author of Hebrews is drawing. We know that Melchizedek was a high priest and a king. Maybe that is the whole point right there. Maybe it is showing that Jesus is also a high priest (which a main theme running through the whole book of Hebrews) and that Jesus is royal (a theme which appears throughout all of scripture). To my limited knowledge there are few, if any, references in the rest of the Bible, to Jesus being a high priest. For the author of Hebrews to make this connection really causes the book to stand alone, showing a side of Jesus’ ministry that was being overlooked by the other New Testament authors. Besides, the fact that the Lord did not preserve any other information about Melchizedek kind of seems to point to this. If understanding who Melchizedek was necessary to understanding the connection between him and Christ then it seems like God would have preserved the knowledge that we needed. cwitt: Makes some good points, in the sense of revelation. But I like the so-called theological point of Philo, that Melchizedek was like the “divine logos”, in the more Jewish sense as God’s representative. But of course we see in the NT revelation: Jesus as the “Perfect” Priest and King! One cannot but note the Platonic here. Btw, both Luther and Calvin (carefully) never forgot that the whole Bible is the manger in which Christ is found! I think that the writer’s point is a bit more obscure – since Melchizedek is without Genealogy in Gen 14, he is like Jesus, without ancestors, perhaps even eternal? This raises (in my mind) a host of questions since that is not how I read Gen 14! Certainly “Melchizedek” is regarded as a prototype of Jesus; the Messiah and the messianic blessings include justice and peace. It looks like Ps. 110: 4 led to the idea or truth of the eternity of Melchizedek. God is the highest priest there is no one above or near him. I think that Melchizedek is talked about as “like Jesus” is interesting because there is no one like Jesus that can do what Jesus can or did. I think that when comparing high priests there is only one who is the highest and that is God. I have never had any specific view on this topic simply because like Adam, I am no expert on biblical and Jewish history. I have always held the view that Jesus was in the line of Melchizedek because that is what I read in the bible. As mentioned it makes sense that if David is in the line of Melchizedek through becoming king and Jesus is in the line of David, then simply through linear continuation of the generations Jesus would be in the line of Melchizedek. Now I do know that in order to fit the characteristics of being a priest Jesus had to be human. And looking at Melchizedek as mentioned in Hebrews as both a priest and a king it somewhat makes sense that Jesus would be similar. As it has already been stated by some, we really don’t have a ton of information about Melchizedek and what he did, but we do see that he was connected and as mentioned already, King of Jerusalem. The thing mentioned by Jobes that caught my attention was that “Hebrews also points out that Abraham tithed to God through Melchizedek and received God’s blessing through Melchizedek (Heb 7:4,6). This demonstrates that the father of God’s Chosen people tithed and worshiped Yahweh through a priest who was not of the tribe of Levi, because that tribe wouldn’t come into existence until hundreds of years later.” (Jobes 104) This caught my attention because all we see in normal writings about priests are that they come from that one specific tribe, but have we ever really thought about what the case was before that tribe was on the planet? I think the only thing that I have gotten from reading this post and people’s replys is that God is the high priest and no one is above him or near that high of a status. No one comes close to the role of God. I like Cody’s post and how he talks about Melchizedek. I also agree that if God wanted us to know his connection with Melchizedek that he would have given us the knowledge that we needed to understand it. I’m not even going to lie a lot of this stuff confuses me because I have never really looked into books with this great of detail. So bare with me I’m a beginner. The book of Hebrews presents Jesus Christ as being from the royal line of David, as belonging to the “order of Melchizedek” and therefore superior to the Levitical priests. Melchizedek is a mysterious figure both in Genesis and in Hebrews. John MacArthur says that “the Levitical priesthood was hereditary, but Melchizedek’s was not. His parentage and origin are unknown because they were irrelevant to his priesthood”. No record existed of Melchizedek’s birth or death which seems to add to the mystery of who he was. Upon return from his victory over Chedorlaomer and the kings who were with him, we read that Abraham gives to Melchizadek a tenth of the spoils he collected. In antiquity, it was common for people to give a tithe to a god or his representitive. John MacArthur states, “That proves Melchizedek was superior to Abraham”. The lessor person tithes to the greater. It is worth noting just how and why Melchizedek suddenly appears and then disappears off the pages of scripture see how important of a role he played in the Priesthood in addition to being the King of Salem? The ESV Bible says that “As far as OT narrative is concerned, it shows no end to his priesthood”. Exactly who he was and what his role pertained to in Hebrew scriptures leaves one to wonder if he were not a type of Christ. I can honestly agree with just about everyone else on this post that this topic in particular has never really interested me. Through writing my paper this past week though a question came up to what the high priest was and what the qualification were and how the whole process actually worked and found some interesting things. Through reading all of this I agreed with Curtis that I read through the passages that Jesus was in the line of Melchizadek simply because it is read that way and simply just took it that way. According to Leviticus 8, God spoke through Moses to appoint Aaron and his sons as priests. Considering the position of a high priest is to be a lifetime position, from what I learned from P.Long, the only other way of become a High Priest is through God appointing them. There are also quite a few qualifications of being a High Priest. It states that Melchizadek is a king and a priest and Jesus is very similar. Jesus was made high priest and was predicted as High Priest since the Old Testament in Psalm 110. Because Jesus exceeds all qualification of being High Priest it only makes sense that he would be. Because of Jesus, he is forever The High Priest. I guess after thinking about all of this I can say that who Melchizadek is still doesn’t make sense to me because I haven’t cared. But I also think that this is possibly something I should know when it comes to “proofing” the bible and being positive in what I believe and talk about. Melchizedek is one of those incredibly fascinating characters of the scriptures because we find ourselves wanting to know more when the just is not much information at all like Enoch where we know just enough to ask questions and yet after that it is all theory and semantics. I think scripture has these characters like this on purpose because we know exactly what we need to, no more no less, just like a wizards timeliness the scripture says precisely what it means to. We know Melchizedek was a high priest and king of Salem, he had no issue worshiping God with Abram and out side of that little else. So to see Christ in the line of Melchizedek we can safely say that He is a high priest and king and understands the divinity of the one true God. Those who follow the teaching in the spirit knows that Jesus upon ascending to heaven took his priestly robes.He is the high priest in the Heavenly sanctuary, where he is interceding daily for all sins that are repented by Christians. The Bible reaffirms this that once the work of probation or investigation will be over in the heavenly sanctuary and all cases shall have been ended, Christ shall remove the priestly garments and and shall wear royal garment as ruler over his kingdom, and He will return to the world as a king to rule in the throne of David.You will remember Christ having, a golden septre to rule all the nations. Additional reading for detail is available in the Book ….The Great Controversy by Hellen G. White. avaailable online as audio book. May God those who seek the truth. Ellen White, not Hellen. Thanks for the comment. Thankfully there is no “probation” for the real Christian life, but there is real Christian perseverance! Also Christ’s “Intercession” is even now based upon that one great “expiation” (Death) of Christ! ok I’m no bible expert but I do believe that this whole thing is about relevelation. However with my limited knowledge I believe Jerusalem which is refered to as Salem where Melchezedek was King was the heavenly Jerusalem because Jerusalem itself was not yet built here on earth since we all Know Solomon built it. So with this knowledge then it would seem that King Melchezedek would be Jesus Himself. The breaking of bread and drinking wine that happened between Abram and Melchezedek even shows that it was The Lord. Anyways that’s whats strong in my heart. That is all quite possible, except that David captured Jerusalem from the Jebusites about the year 996 B.C. (2 Sam 5:6-10) and then expanded the Jebusite city (2 Sam 5:11-12), well before Solomon was born. Since he captured it, the city existed long before David’s time and appears in a couple of places in the earlier history as Salem (Melchizedek in Gen 14). The tribe of Judah captured the city in Judges 1:8, but the Benjamintes did not hold the territory and it was eventually recaptured by the Jebusites. Joshua 15:8 describes the settlement near the Valley of Hinnom as Jebusite territory, notice the parenthetical “update” to include the name Jerusalem. Solomon built the Temple on Mount Moriah, near what was then Jerusalem. The city and the Temple both eventually expanded so that they were the same city. Perhaps that is what you were thinking of. Jasper. This man was devine because God works mysteriously. He is like Jesus. One of my favorite quotes from Jobes is “…rather than concluding that [Melchizedek] was supernatural, simply believe that he was a human priest-king whose lineage had been lost or considered unimportant at the time Genesis was written” (105). The author of Genesis may have thought at the time of writing the book that Melchizedek was important in the storyline of Abraham. However, the author probably would have never guessed that Melchizedek had a storyline of his own that would intertwine with the saving of mankind. I believe that the appearing insignificance is why God choose to use Melchizedek in the first place. With the story of Jesus, His beginnings were humble. He was not born in Jerusalem but in Bethlehem, born to an average couple rather than to a king. Jesus was born into humble circumstances and being the line of Melchizedek was part of that humbleness. Melchizedek was mentioned briefly in the Bible, had no parents or lineage recorded. All that was known about him was his place of reign and that he worshiped the one true God (Gen. 14:17-24). To the naked eye, Melchizedek was not very important in the storyline of the Bible. However, hundreds of years later Melchizedek became part of the most important story ever told. The story of Jesus Christ. I really hope whoever posted about Melchizedek before me spelled his name right because I copied and pasted his name. These are the types of mysteries that I long to read about in the Bible. Not only do we have someone who is regarded as King of Righteousness and a High Priest that is not Jesus, but we have someone who is related to Jesus is some sort. I look at the three ideas or concepts behind who Melchizedek is and i began to think logically. I would not think that it is Shem because he has already has a place in God’s divine scripture. Whoever Melchizedek is is important because all scripture is God-breathed. The other two points seem like guesses that we can not prove not to be true. With that being said I would tend to agree with what Sarah Maas stated above, “…rather than concluding that [Melchizedek] was supernatural, simply believe that he was a human priest-king whose lineage had been lost or considered unimportant at the time Genesis was written” (105). Jobes makes a good point. At the time the lineage of this person did not need to be shared. Maybe everyone who the Bible was written to knew who Melchizedek was, and therefor there is no need to write that down. I will only comment on Gen 14:18, as I know some Hebrew but no Greek. The Hebrew term that is rendered as rendered “Melchizedek” in most English translations is explicated at: https://www.blueletterbible.org/lang/lexicon/lexicon.cfm?Strongs=H4442. The correct transliteration in modern transliteration systems is Malkiy-Tsedeq, pronounced by Anglophones as mal·kē·tseh’·dek. The “Ts” is a single sound represented by the Hebrew letter tsadi and is pronounced as in Tsar or pits. I have heard some very amusing attempts to pronounce the word — such as mel·chiz·ed·ek, with the ch as in cheese. As for meaning, the word is a compound of two common Hebrew words. Malkiy is a form of Melek or Melech (Ch is guttural as in loch), which is translated as king. https://www.blueletterbible.org/lang/lexicon/lexicon.cfm?Strongs=H4428 Tsedeq (https://www.blueletterbible.org/lang/lexicon/lexicon.cfm?Strongs=H6664) is usually translated as righteous, but can also mean justice or even charity. I think the correct translation of Malkiy-Tsedeq is King of Righteouness and it is a title not a proper name. I leave theological conclusions to the reader. This is the correct translation (and pronunciation) of the name מַלְכִּי־צֶדֶק, but it is not certain it is a title. Two things: first, Genesis 14:18 says “Melchizedek king of Salem.” There is a name and a title. Salem is likely Jerusalem, well before David captured the city from the Jebusites. Second, very similar names appears in Joshua 10:1-3 and Judges 1:5. Adonia-zedek (אֲדֹנִי־צֶדֶק, Lord of Righteousness) and Adoni-bezek (אֲדֹנִ֥י בֶ֙זֶק֙), the Lord of Bezek. The Hebrew word bezeq probably means “fragment,” or “sherd” (D. G. Schley, “Adoni-Bezek (Person)”, 1:74). This might very well refer to an “old Canaanite god, Ṣedeq who was at one time the patron deity in Jerusalem.” Schley goes on to suggest “David’s choice of a priest of unknown origin, Zadok ((Heb Ṣādôq, Ug Ṣaduq), to serve alongside Abiathar, may have resulted from a desire (or need) to secure the loyalty of the Jebusite cult in Jerusalem” (ABD 1:75). The name is really a good old Canaanite name, even if the king mentioned in Genesis 14 worshiped the most high God. Rulers often have epithets as well as proper names. E.g. : Charles the Bold, baptised Charles Martin, Duke of Burgundy. Thus a text could read: “The Duke of Burgundy, Charles the Bold” without mentioning his proper name. This biblical text could easily, and properly be translated as: “The King of Shalem, who was called the King of Righteousness” and his proper name which could have been the ancient Semitic equivalent of John Thompson, might not have been mentioned at all. I should add that I do not recall any other Hebrew proper names that use a derivative of Melek as part of the name. Abimelech the son of Jerubbesheth (2 Sam 11:21). Adrammelech and Anammelech, the gods of Sepharvaim (2 Kings 17:31). So as many as 13 other examples, although one is probably a title and one is a place name. Abimelech is a great name for the son a king, Ahimelech would not be literally Saul’s brother since he cannot be from the tribe of Benjamin and be a priest. I think it is probably a name taken to show loyalty to the king. And there is example of someone just called Melech! I could also mention Molech, the god’s name was melech, but the vowels for “shame” (bosheth) were added to mock the god. Melchizedek could be a title, but there is no telling for sure given the many examples here of non-kings with melech in their names.